On Sunday, December 3rd, join author Ed Orzechowski for a presentation on his book "You'll like it here." 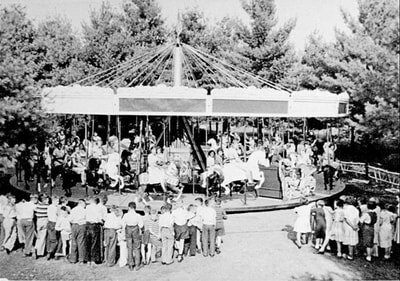 Donald Vitkus - Belchertown Patient #3394 and a slide show about the Belchertown State School. Copies of the book will be available for purchase and signing. 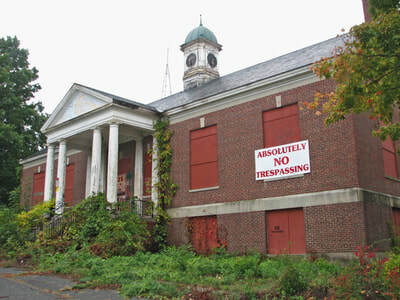 The doors of nearby Belchertown State School were padlocked forever 25 years ago. 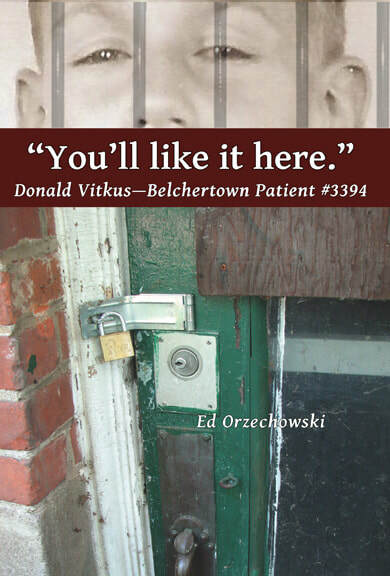 Since its release last year, Ed Orzechowski's “You’ll like it here.” — Donald Vitkus, Belchertown Patient #3394” has been a best-seller for Levellers Press of Amherst. 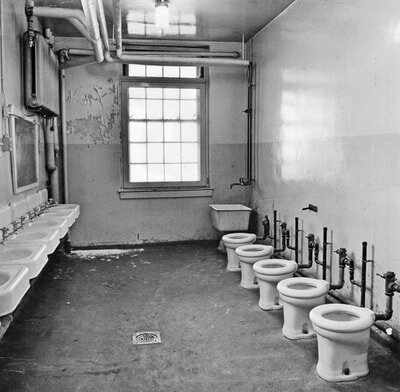 You’ll Like It Here exposes the de-humanizing environment of a Massachusetts Department of Mental Retardation institution of the mid-1900s. Misdiagnosed and clinically labeled a “moron” with an I.Q. of 41, six-year-old Donald Vitkus was committed to Belchertown State School in 1949. There, behind barred windows and locked doors, he was subjected to beatings, mind-numbing medications, straitjackets, solitary confinement, and brutal regimentation. 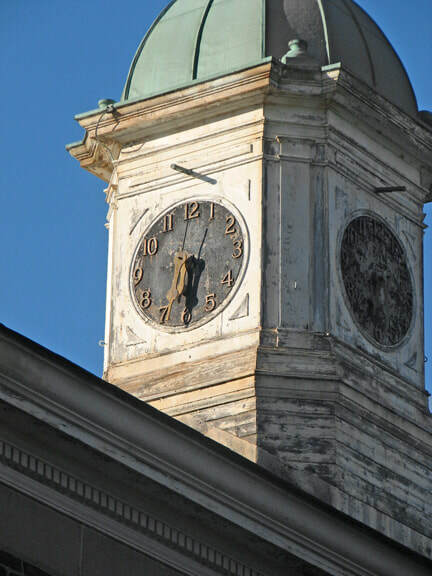 In a series of interviews over eight years, Donald related his story to Ed Orzechowski. You’ll Like It Here is the story of Donald's lifelong battle to convince others—and himself—that he is not a moron, a story of the resilience of the human spirit. Since it was shuttered in 1992 following a federal class action lawsuit, other books have been published about Belchertown and places like it, but none told by a patient who lived there. Ed will explain how his book came about, and present a slide show about the former institution. Copies of his book will be available for purchase and signing. 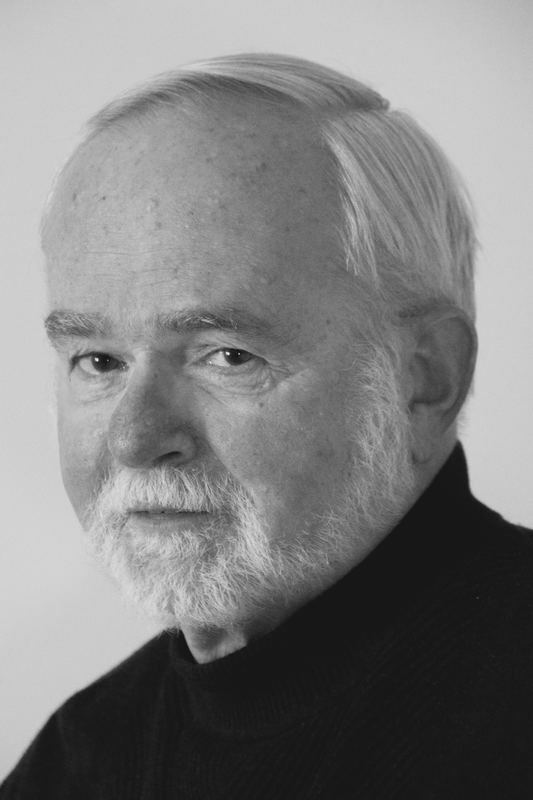 Ed Orzechowski, a retired high school English teacher, freelance writer, and radio news reporter, is president of Advocacy Network (originally The Belchertown Friends Association), a support group for families and guardians of individuals with developmental disabilities. With his wife Gail, also a retired teacher, Ed has participated in VOR (formerly Voice of the Retarded), a national organization that lobbies Congressional leaders to protect the rights of the intellectually disabled.